Boxing Manager Professional Edition 1.8.2 is sports software developed by AMB. Not only do you control the careers of the boxers in your stable but YOU also compete against 100 other Managers for the coveted annual Ultimate Boxing Manager Award! At the end of every year awards are delivered to the best boxer in each weight division, the Ultimate Boxer Award across all weights and the all important Ultimate Boxing Manager Award! The aim of the game is to win this award and be recognised as the Ultimate Boxing Manager. Boxing Manager Professional Edition 1.8.2 supports different languages (including English). It works with Windows XP/Vista. Latest Boxing Manager Professional Edition 1.8.2 does not contain any spyware and/or advertise modules, allowing installing it with no worries concerning valuable information loss. We has completely tested sports software Boxing Manager Professional Edition 1.8.2 many times, written and published the interesting article and uploaded installation file (8000K) to our fast server. Downloading Boxing Manager Professional Edition 1.8.2 will take minute if you use fast ADSL connection. 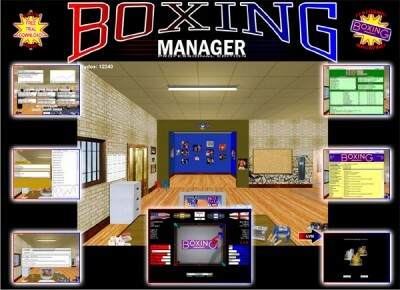 UBM is a boxing manager simulation. Part graphical boxing game and part trivia game. 1000 questions included. Boxing simulation, > 6600 rated fighters, stats, very realistic! Free Demo! OOTP Baseball 2006 is the ultimate in realism, playability and unparalleled customization. BlueChip Widget is the ultimate enhancer to the award-winning stock tracking app for OS X.